Getting the opportunity to work with a company doing great things for the enviroment is always awesome. Baabaazuzu is an upcycle company that creates clothing, accessories, and home good items from old wool sweaters that are felted. Completely hand made this company does a lot of good here in the Northern Michigan area to provide a great working enviroment and take thousands of sweaters out of landfills. 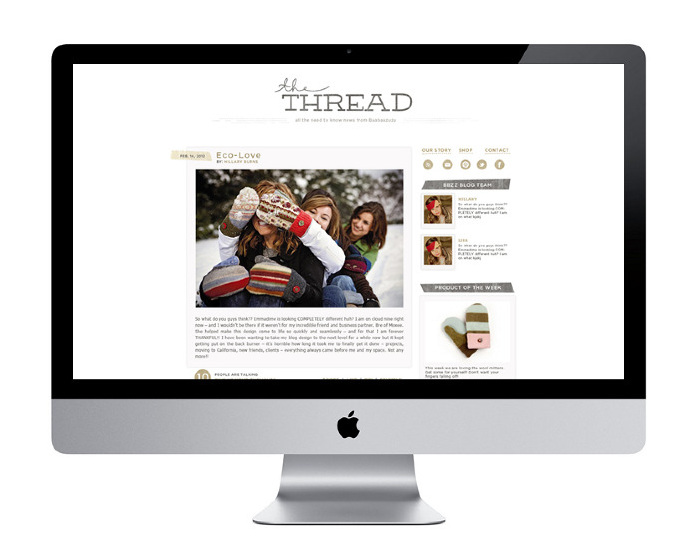 So it is no surprise that I was very excited to help them redesign their blog for them. Their PR and Marketing team was so wonderful, efficient, and quick to make changes so we can get this guy launched for them. I always love that! Anyways go check it out and see what they are doing at the shop! Very nice! It’s got kind of an organic feel that reminds me of TOMSSHOES. Oh my GOSH do I love your work. So simply beautiful.